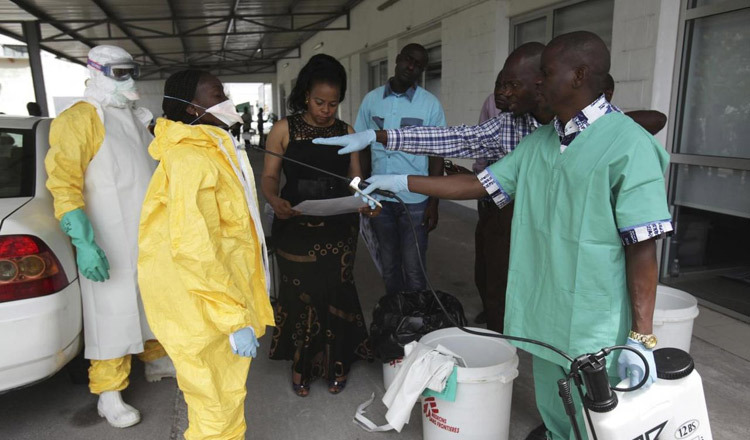 UNITED NATIONS (Xinhua) – The Ebola outbreak in the Democratic Republic of the Congo (DRC) is not only spreading but is extending southward into a “high security risk area,” according to UN spokesman Stephane Dujarric. “The World Health Organisation (WHO) reports that in recent weeks there has been an increase in reported cases of Ebola in the DRC’s North Kivu Province, most notably from the Katwa health zone, where response teams have faced pockets of community mistrust,” he said. “The outbreak has also extended southwards to Kayina health zone, a high security risk area,” Mr Dujarric told reporters at a regular briefing, referring to one of DRC’s conflict zones. Working under the government’s leadership and in collaboration with other agencies, the WHO said teams were actively working to build community trust and scale up the response in these areas. There have been more than 650 cases of Ebola reported as of Jan. 24 in the latest DRC outbreak, including 443 deaths due to the highly contagious hemorrhagic disease, according to the WHO.